HomeCinemaMasalaShashank Vyas & Chandni Bhagwanani surprised Karan Sharma on his Birthday! Shashank Vyas & Chandni Bhagwanani surprised Karan Sharma on his Birthday! Karan Sharma, who is currently seen essaying the male lead’s role in ‘Ek Nayi Pehchaan’, recently turned a year older. 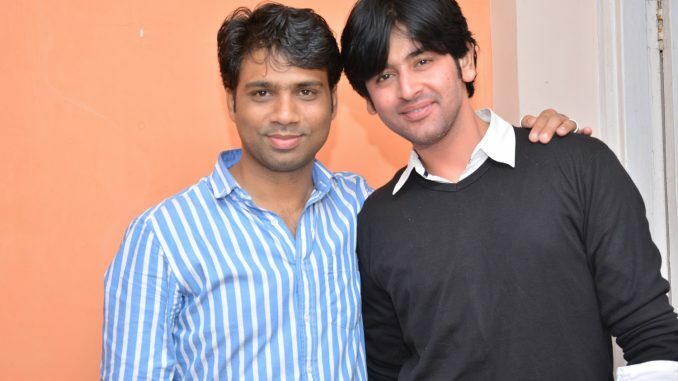 His good friend Shashank Vyas (Jagya of Balika Vadhu) and Chandni Bhagwanani (Amita Ka Amit fame) pitched in together for a surprise party at Karan’s home. The party went on the wee hours and everyone was seen having fun and interacting to each other.